Guess all the pictures and win the world contest! Guess all the pictures and win the world contest! 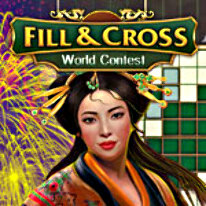 Solve puzzles in 6 elegant locations and visit some of the most prestigious casinos in the world. Immerse yourself in a globe spanning contest featuring 120 levels, more than 4 hours of gameplay, excellent music, and magnificent trophies. Outwit your rivals and win the world contest!